I didn’t expect to win THE PLAYERS. Fate could be the reason. Q: Is it possible for tens of thousands of people to bear witness to something and not be sure of what they just saw? 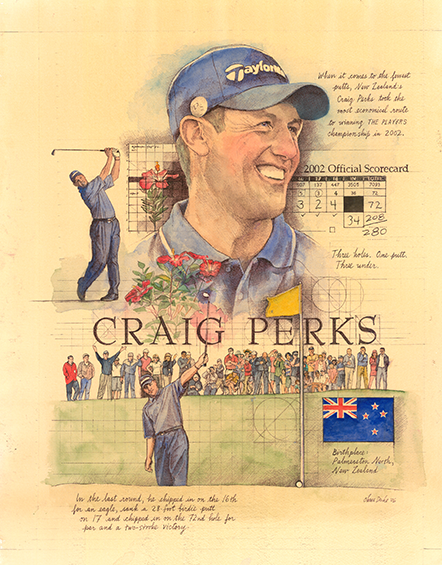 Consider March 24, 2004, the final round of THE PLAYERS Championship when Craig Perks left everyone giddy, though speechless and stunned at the same time. Hours, days, perhaps months later, fans who had flocked to THE PLAYERS Stadium Course at TPC Sawgrass or watched on television had to ask themselves: Did Perks really play the last three holes in nine strokes with just one putt? Amazed? Join the crowd. So was Perks, a 35-year-old New Zealander ranked 203rd in the world. He had never won on the PGA TOUR, yet beat the best field in golf at the showcase event. THE PLAYERS is where history is made and in 2002 it came wrapped in a surprise package. Squeezed into a jam-packed leaderboard, Perks was a stroke behind Stephen Ames when he chipped in for eagle at the par-5 16th. Shock. Then he drained a 28-foot birdie putt at 17. Double shock. Then when he took three shots and still wasn’t on the green at 18, double bogey and a playoff were possibilities until Perks sent a triple-dose of shock through the crowd. The chip-putt-chip covered roughly 77 feet of golf’s hardest real estate. They will travel much further in the history books.